We all love this Beautiful Season , isn’t we ? ?❄❄☃☃⛄⛄ .. . But Yeah the cold crazy winds during this season, Makes our skin & lips Dry and Dull. & We need to take extra care of it.. . So Today I’m Sharing Some Useful Skincare tips for Winters ! Winters Calls For Some Extra care for our Skin. Below find some useful tips for Smooth, Comfortable & glowy skin during winters ! Use Lukewarm Water while bathing and washing your face !! Moisturize your skin very often !! Protect your skin from Harmful sun rays ! Drink plenty of water & A Hot Cuppa Of Green Tea for complete Hydration !! Prepare your skin with the right products !! N The Most important tip is to invest in Good Quality Skincare Products !! ?? Well This is the point , I’m here today !! ?? One Skincare Brand who Deals in all good quality Skincare Products with all natural ingredients !! Buy Some Phenak India Products & Notice the difference ! 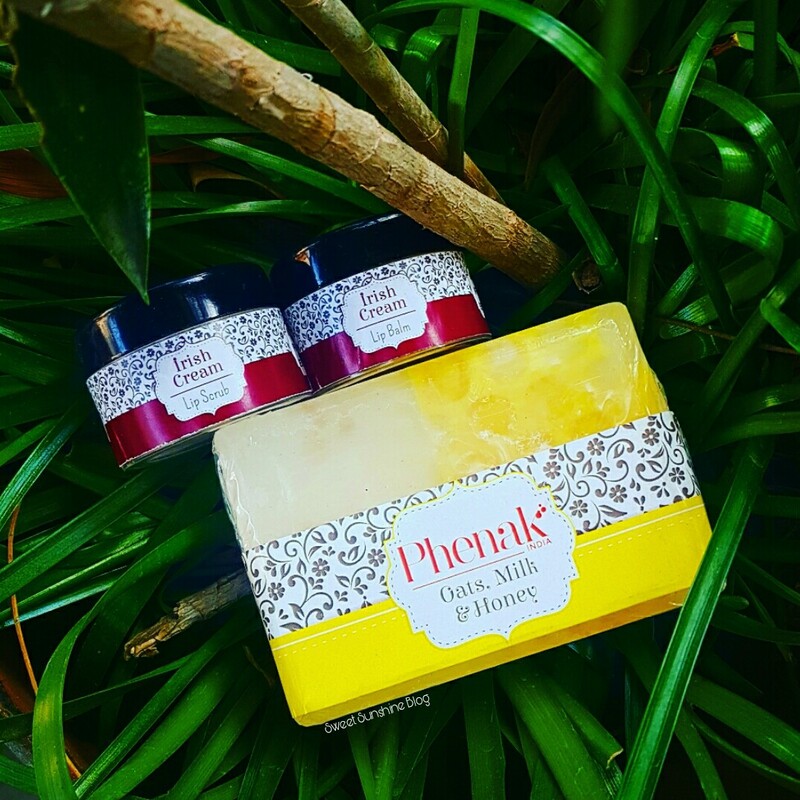 Phenak is a Sanskrit word which means soap. Phenak India is Conceptualised by A Delhi Mom to provide , gentle and chemical free skin care products ! They presents their Winter Care Collection of natural, handmade products made of fresh ingredients. A specially curated collection of skin care products like chocolate body butter, lip balm, lip scrub, honey oat milk soap, Coffee scrub to keep your face and body smooth and healthy during the winter. No more dry, cracked skin! WE Received 3 Products from Their side to test, try & review !! I’m personally using All The 3 products from Past 7 days & loving the way it brings Shine and Moisturisation to dry chapped lips & body ! So Let’s Talk About them One By One ! It is sweet light weighted lip Scrub with a subtle Fragrance of Irish Oil ! This Lip Scrub Comes in a round plastic tub , weighs 10 gms & priced at Rs. 150/- only ! Take a Adequate Amount of lip Scrub in the tip of your finger & rub Gentley for about 3-4 minutes ! After Scrubbing Your Lips With the Irish Cream Lip Scrub , Apply a small amount of this lip balm & lock your lips in complete protection for hours ! Its soothing & calming properties will moisturise and hydrate your lips all day long ! Apply directly to your lips, as often as required.. This Soap is rich in vitamins, minerals and complex fatty acids that help to remove irritation, moisturise and repair the skin. This Soap weighs 125 gms & Retails for Rs. 170/- only !! Whatsapp At @8700939052 or 9990910160 to know the details about the products. You can even customize all your products based on your requirements. Or Visit their Pages & DM Them to order directly ! Find the direct links below ?? & Enjoy Natural Skincare Products RIGHT at Your Doorstep !! Happy Shopping & Merry Christmas In Advance ?? I hope You all find this Review helpful . Have A Fantabulous Day Ahead ..
Stay Connected With Sweet Sunshine Blog For More Such Winter Care Updates ..
looks like some great products, loved them, the lip scrub is unique and worth trying!!! It was great knowing so many benefits of ground nut. I never knew them to be frank. It is indeed and essential item for winters. Checking the products out. I have been following this brand from a while and really like its no nonsense products. The products you described here look very promising and tempting. I loved this idea of all natural products.The lip scrub is something I would love to try. Looks like all the ingredients are natural and organic. Will try Phenak for sure. Thanks for sharing these tips. I really am intrigued to try these products. Specially the lip scrub. Wow packaging looks so gorgeous ? this is a new brand for me . I really want to try all the products specially the lip scrub. Thanks for sharing.